1. Please, introduce yourself and your conference to our community. I am Sophie Monono, President of SAIMUN Cameroon Team. I am very much excited and happy to inform you all of the must attend SAIMUN conference in Cameroon. SAIMUN-CAMEROON will be a three-day simulation organized annually in Yaoundé, bringing together about 300 delegates from different parts of the world to discuss, debate and find solutions to existing global issues and challenges related to Sustainable Development. Delegates will have the opportunity to voice out their interest and opinion with regards to international affairs, international politics, international economy and finance, technological world, media amongst others. The theme for 2017 being “The dynamics of terrorism in 21st Century Africa”, the event will be a forum to permit youths analyse as well as voice possible long lasting solutions to the deplorable phenomenon which is a major concern too, and has influenced the foreign policy of Cameroon, Africa and the world at large, especially under the canopy of the United Nations. The conference despite its UN centered activities will also permit foreign delegates to discover the amazing city of Yaoundé and the unique but diverse culture of Cameroon. 2. You have a great team organizing an MUN. How did you first discover your love for MUNs? What has inspired you to go so far as to organize your own MUN or with your university? I first discovered MUN in mid-2015, when I stumbled on ROMEMUN, applied for, got selected and participated in March 2016. After my participation, coupled with the fact that I was just getting to my final year of International Relations studies as Diplomat, my love for diplomacy took another turn with the experience of debating, negotiating and representing countries other than that of origin. The beautiful scenario, powerful networking, interesting debates with solution seekers, the marvelous delegates, experienced and dynamic young people left me desiring to see Cameroonian youths discover this. So upon my return I, I served as International promoter for ROMEMUN in 2017, which connected me to other existing MUNs in Africa which were equally starting up. Now with this experience, and desire to organize an MUN in Cameroon, I got the opportunity from SAIMUN in Kenya to host SAIMU in Cameroon. This was a challenge not to miss out on, so I accepted. Given that it is a new concept in Cameroon, I decided to organize this 1st edition with students in youth organizations I work with instead of a University yet collaborating with universities, high schools and Institutes. 3. Could you please mention more about your university or institution? If you are not a member of university or institution, could you please tell us more about your MUN career? How did you first hear about it and how did you decide to join? What does this university offer to the students? Currently I am not part of a university or institution, but I was when I started my MUN career. So MUN in Cameroon is coming in through the efforts of Open World Platform (OWP), a youth based organisation in Cameroon. It is made up of students and young diplomats. My MUN career is same like I mentioned in Q2 above. Just from ROMEMUN, my MUN career is spreading across Africa and Europe and I long to do more and get others learn more about MUN in years to come. It is a great experience no young person should miss. I am working on introducing the concept to the International Relations Institute of Cameroon (IRIC) which is ideal in handling MUNs once they grasp the whole idea of MUNs. 4. This is the international MUN in Cameroon. Does this mean that “International” Model UN scene is relatively new in Cameroon? Yes, it is. This is the first time Cameroon will be hosting the international MUN. It is a great opportunity to Cameroon and delegates around the world to discover the beauty of this great nation. Cameroon is peaceful, rich in culture, beautiful tourist attractions, and very hospitable people. 5. Students improve on many fronts after attending MUNs, that’s a fact. What are some skills that you want to improve, and what do you hope to get out of participating in Model UNs? What is your biggest motivation when it comes to MUN conferences? I would like to see students improve their public speaking, negotiation skills, engage in mind challenging exercises in order to bring solutions to current issues of world interest. It is an opportunity to get young people consider their role in solving current world problems and equally instill believe in their capacity to contribute in resolving these issues. Even though this MUN is going to be “international” I really hope Cameroonian students will get challenged by the experience of other MUNers who will attend and this will help them know the need to empower themselves and not just idle around and get contented with classroom education. This will equally grant students international opportunities for internships since MUN I believe is an excellent forum for networking and meeting amazing people not just for meeting sake but for a lifetime partnership. The partnership is the key. 6. What are you most excited for at this edition of SAIMUN CAMEROON? What makes SAIMUN CAMEROON stand out among other conferences? I am most excited to welcome delegates from across the globe. Giving Cameroonian students the platform to mingle with them will boost their personality and experience. SAIMUN Cameroon stands out because it doesn’t just involve the MUN conference but other poles like Business and Press Corps for other fields other than classical diplomacy or international relations. Then the social event will be peculiar still in working progress though. Cameroon is called “Africa in miniature” and if time would have permitted, a tour in other regions would have been exceptional; nevertheless our city tour will be historical as well. 7. What advice would you have for members of SAIMUN CAMEROON? How would you convince them to participate? Good things they say speak for themselves. The members already can feel the glamor of the event and if anyone is passionate about his or her dreams, aiming to be a leader, wanting to improve public speaking skills , network and above have so much fun, there is no better place than participating in the upcoming SAIMUN conference in Cameroon. Moreover, since the conference is new, we are having already overwhelming emails from youths who desire to participate and we know once we launch the application in few days to come, the inflow will be awesome. 8. Considering that SAIMUN CAMEROON will have impressive committees, your organizational skills must be on point. Could you please tell us more about your academic team and committees? We have four major committees or simulations; General Assembly-DISEC, UNHCR, Business Pole, and Press Corp. Delegates can choose either of these and join other great and inspiring delegates to handle challenging situations. We had initially planned on having more committees but due to the newness of this in Cameroon, we intend to start “small” and grow bigger as years unfold. 10. 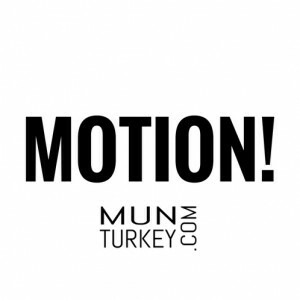 How can the role of new technologies and new communities such as MUNTurkey affect the future of MUNs? The partnership is the key as I earlier said but technology is an ultimate key. MUN Turkey is a plus to the future of MUNs. It is taking MUN to another level. Collaborating with MUNTURKEY.COM will give us credibility in Cameroon as well and confirm the international nature of our event. More so, just like other MUN communities, we are working with, MUNTURKEY’s media support will take SAIMUN Cameroon to a level we couldn’t have imagined. As MUNTurkey.com PR Team, we send our special thanks to MS. Sophie Monono, President of SAIMUN Cameroon Team for giving us this great chance to learn more about SAIMUN and Cameroon! Wow brilliant idea, am happy to be part of this great upcoming event.